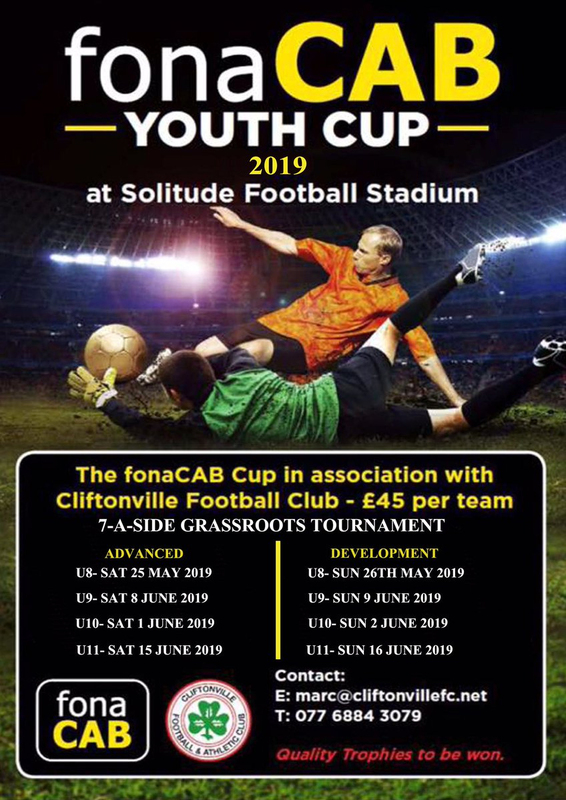 Organisers of the 2019 fonaCAB Youth Cup were delighted to recently confirm Bohemians’ place at the forthcoming tournament – evoking fresh memories of almost a century of clashes between the Clubs. 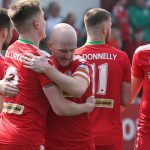 Cliftonville won both the first and last of 44 fixtures that traversed Irish League, Irish Cup, City Cup, Inter-City Cup, Victory Cup, Pioneer Cup and friendly commitments between 1900 and 1999. After lifting the Irish Cup with a 2-1 victory over Bohemians on this very date in 1900, the Reds’ relationship with The Gypsies would continue across 19 years of League action and also included a further Irish Cup success when goals from Thompson and McComb earned another 2-1 win when the 1909 Final went to a replay following a goalless draw at Celtic Park. The Bohs’ final League outing at Solitude was notable for Cliftonville sporting pale blue jerseys and white shorts in a 2-0 win on September 27, 1919, with the Clubs’ last ever League exchange coming when the Reds were defeated 1-0 at Dalymount Park in November of the same year. From 1925 onwards, the sides would contest occasional friendlies before Cliftonville were beaten in two-legged Inter-City Cup encounters in 1942 and 1945. Also in 1945, the Clubs celebrated the end of the Second World War by contesting the Victory Cup when, following a 3-3 draw in Dublin, Bohemians triumphed 9-8 on corner kicks and, though further Inter-City and Victory Cup defeats would be inflicted three years later, Cliftonville enjoyed a corner kick win of their own when Solitude hosted another 3-3 draw in May of 1953. 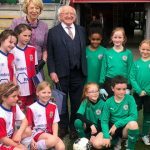 That particular game would prove the last of just three Victory Cup ties, with the contests thereafter effectively morphing into the Pioneer Cup – a regular friendly challenge between the Amateur stalwarts of Ireland’s two main cities. 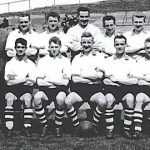 The Reds lifted the inaugural trophy (main image) courtesy of a solitary Bruce Shiells strike on May 1, 1954 and, little more than a fortnight on, the first match between the teams outside of Ireland saw Bohemians win 2-1 in a friendly on the Isle of Man. 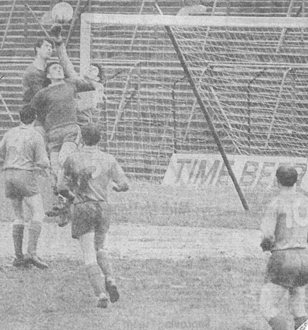 From then on, the sides met exclusively in the Pioneer Cup up until 1969, however a further decade would pass until the Tyler Cup drew the Clubs’ paths together again; John Platt’s hat-trick and a single strike from Peter McCusker earning Cliftonville’s recently-crowned Irish Cup history-makers a 4-2 success at Solitude. 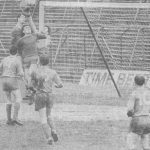 Platt was on target again when the Reds claimed another Tyler Cup win over the Bohs in 1980, since when the sides have met nine times – all in the Pioneer Cup. Gary Higgins’ double in a May 1981 encounter at Dalymount Park saw Cliftonville win the trophy for the first time since 1967, with successive penalty shoot-out triumphs extending the Reds’ grasp on the silverware until 1984, when the Bohs were 4-1 victors on penalties. Indeed, the contest went to spot-kicks for a fourth consecutive year when the Dubliners again emerged on top on 1985 before Cliftonville’s 2-0 win at Solitude in 1987 provided brief respite ahead of Bohemians enjoying another shoot-out success two years later. 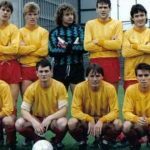 The Bohs retained the trophy in 1991 but eight further years would pass until the next – and, to date, final – Pioneer Cup game saw Reds captain Mickey Donnelly score the only goal of an otherwise forgettable battle in Belfast. 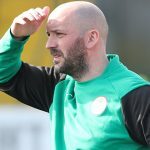 With 44 meetings between the senior teams (during which Cliftonville recorded 19 wins, 11 draws and 14 defeats with 83 goals scored and 63 conceded), the Clubs’ next generation of stars could be set to lock horns when Solitude hosts the fonaCAB Youth Cup in a few months’ time. The 2018 event saw thousands of players participate in the prestigious youth development tournament and this year’s competition promises to be bigger and better than ever before. 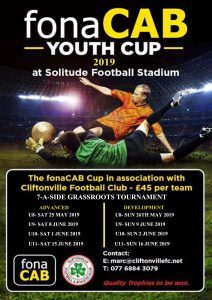 The fonaCAB Youth Cup costs just £45 to enter and will see players across a host of age groups compete for silverware at Solitude during May and June but, with interest typically high, anyone interested in signing their team up is urged to do so as soon as possible. 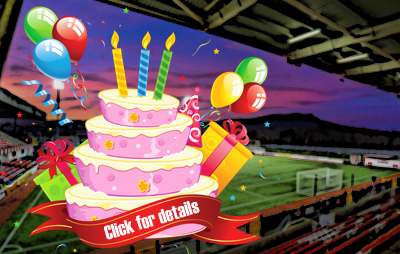 To get involved, contact Head of Youth Development Marc Smyth by emailing marc@cliftonvillefc.net or by phoning 07768843079.